The key to a successful Instagram is choosing the right hashtags. 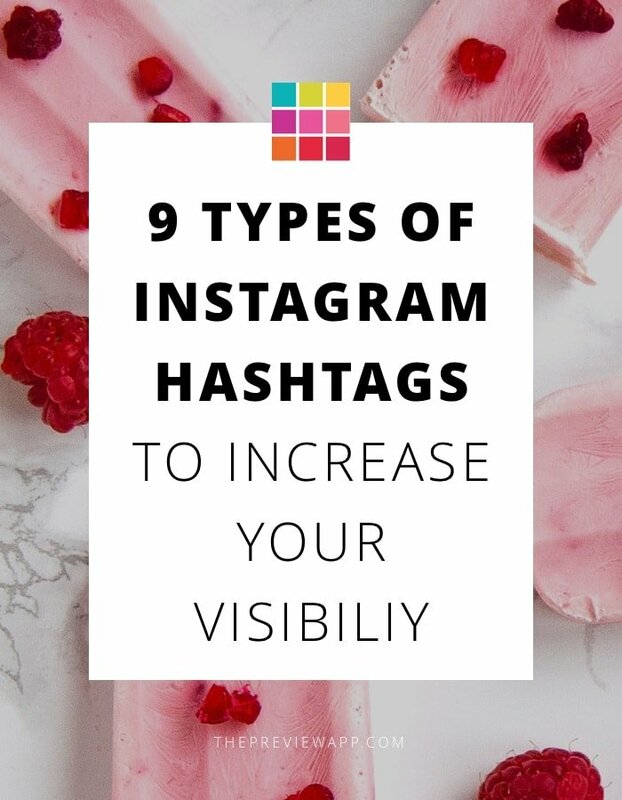 There are 9 types of Instagram hashtags you should use (and mix) when you prepare your hashtag groups. They range from very popular hashtags (with high competition) to less popular hashtags (with lower competition). I call this range the Instagram Hashtag Funnel. 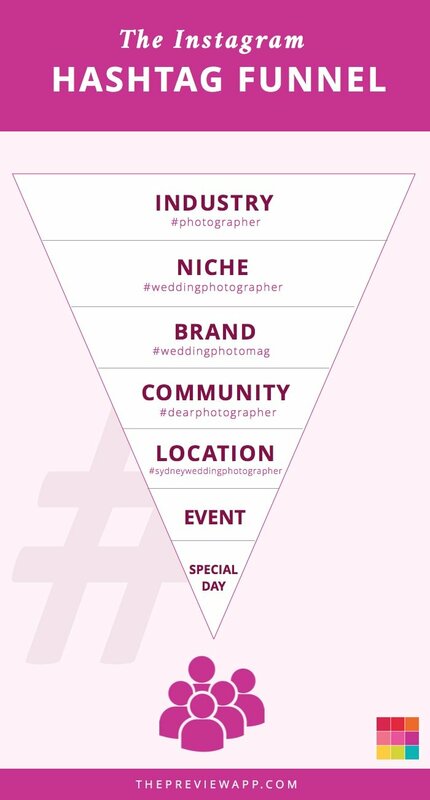 The Hashtag Funnel will help you know which Instagram hashtags to use. Instagram hashtags = free advertising. Instagram hashtags = lead you to your potential customers. Instagram hashtags = a door to an amazing community. Note: At the end of the article I will share other important blog posts to complement this one. There is usually a lot of competition with these hashtags (a lot of people use them – millions). They are always good to use. I recommend using 1 or 2 industry hashtags in your list, just so Instagram knows what you’re into (then they can recommend you better on their Explore page). Plus, a lot of people might not know very specific hashtags (like brand hashtags), so they can always find your photos thanks to general, industry hashtag. One step more specific than industry. What is your specialty within the industry? 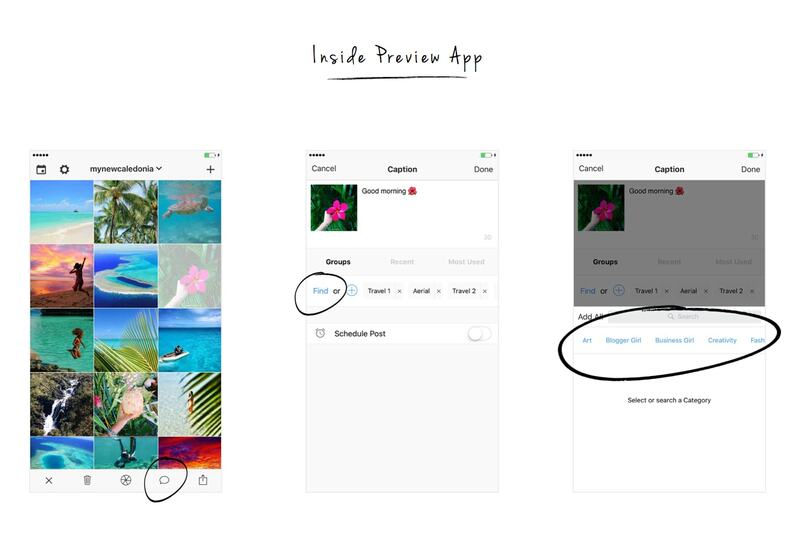 The Hashtag Generator in Preview App will be very handy. Search a category to find niche hashtags. Brands or big Instagram accounts will have branded hashtags. Try to be featured by the brand. Check the branded hashtag search results to make new connections. Don’t worry if you don’t get featured. You’re still part of an amazing community. People will actively look at branded hashtags and you can make new connections this way. I also encourage you to check branded hashtags on Instagram to make new connections. People who use these branded hashtags usually are just like you. They too, want to be featured and want to grow their account. Help each other out! Checking branded hashtags is a great way to get real followers. Finally, check the Hashtags Generator. It includes branded hashtags by categories/industry. Even more specific are Instagram communities. Instagram is the home of communities. You can be part of any tribe. It can be a community of girl bosses who support each other, or families who love to hike with their little ones (hi @bushwalkingbubs!). Don’t just use a hashtag in the hope of making new friends. Be active. Like and comment on other people’s post. Location hashtags allow you to be very specific. You make it easier for other people to find you. The competition for these hashtags can be very low. It may seem like no one will ever find you using these specific hashtags – but the ones who will find you will be the one who truly care about what you have to show. Any events happening around you or in the world? Be part of a larger (or local) movement. These hashtags are great to also find other people in the area (if they are attending the same event). For some event, you need to stay on top of the news (which isn’t hard if you’re on Facebook). I recommend to check branded hashtags related to an event. An example is @Oreo during the Super Bowl ad. They asked people which side they were on: “Cookies versus Creme” using hashtags #cookiethis or #cremethis (it was pretty fun, check it out). This hashtag type is self-explanatory. The trick is to ride the waves to celebrate with everyone. Especially when it’s a fun event like National Pizza Day. It’s so fun to engage with people from all around the world. When you choose any type of hashtag, always think about the density of the hashtag. High density = A lot of posts (+500K) = A lot of competition = Harder to rank = Part of a larger picture. I recommend to use a mix of high density and lower density hashtags when you plan your hashtag group. To sum up, mix the different types of hashtags in your Instagram hashtag group. Feel free to ask questions in the comments below. Let me know if you found this article useful.